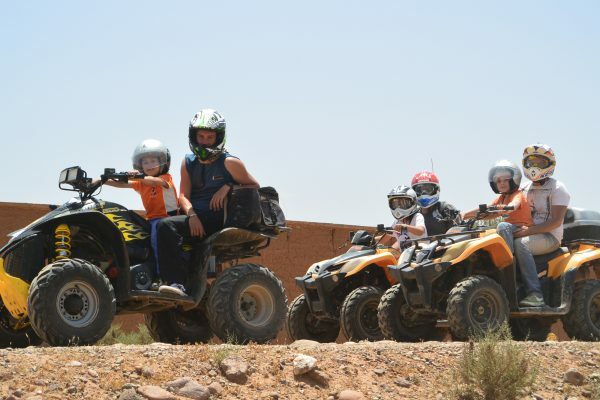 Explore Marrakech Palmeraie and the surrounding villages on your own set of wheels. 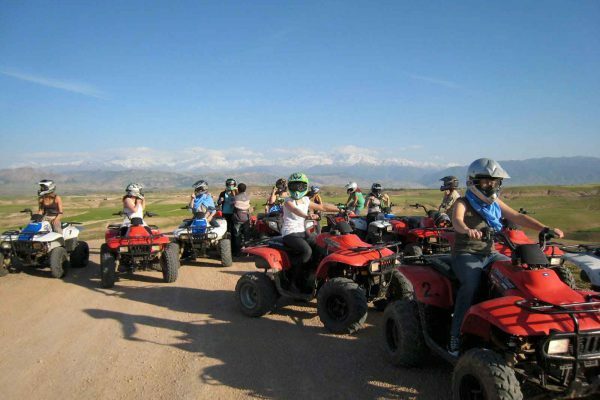 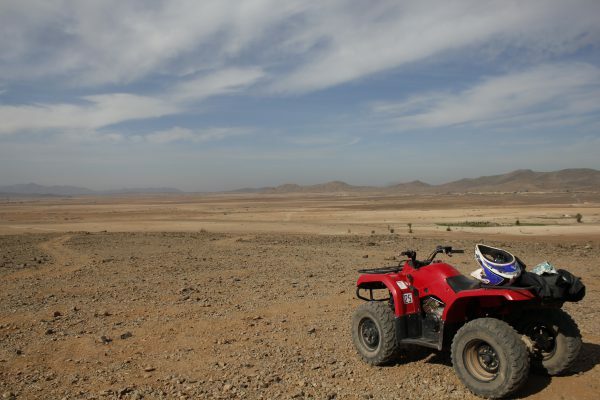 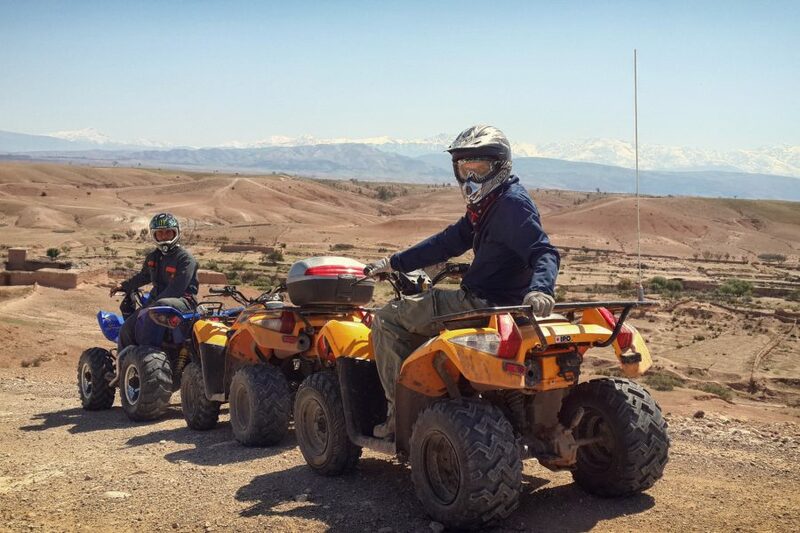 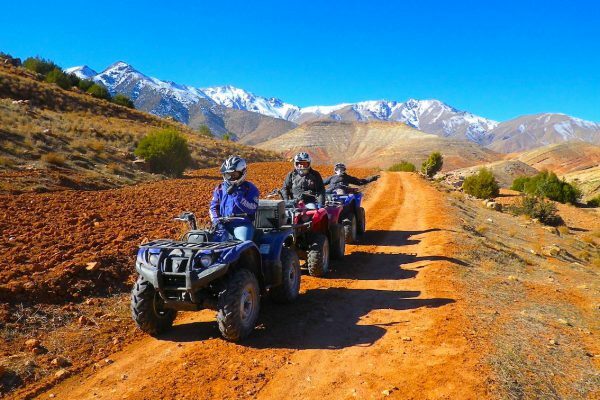 Marrakech Quad biking is a fun and safe way to have an half day adventure outside of Marrakech. You will be transferred from your hotel or riad to the northern Palmeraie, where the quad bikes base is located. 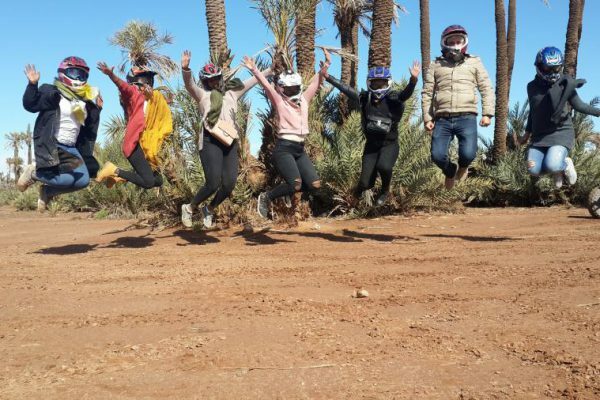 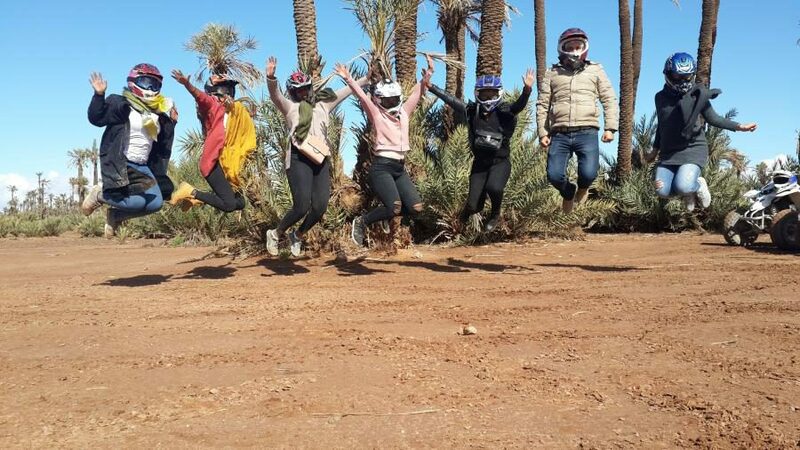 After a 20 minutes initiation and safety check, follow your guide for an awesome Marrakech quad biking experience through the palmgrove crossing some Berber villages where you will stop for a cup of mint tea and mouth watering Moroccan honey crepes. One quad bike per person (Child age from 6 till 14, Riding with an adult 50% discount). 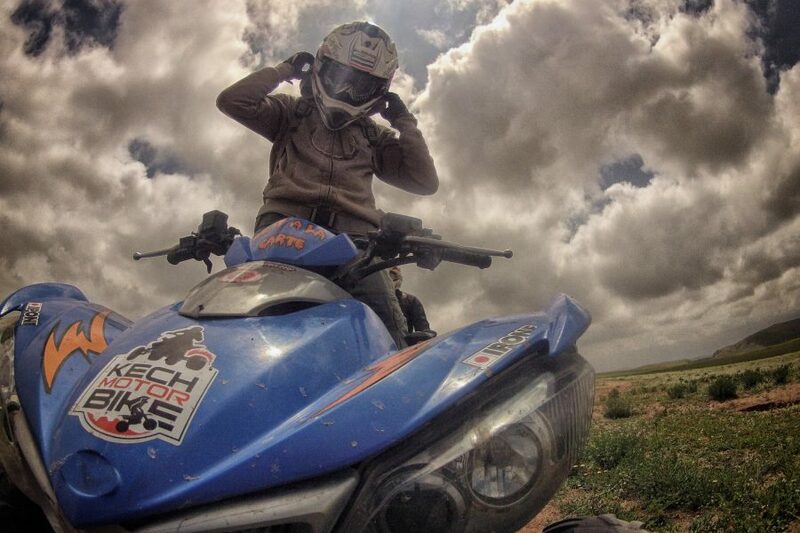 Goggles , Helmet and gloves. 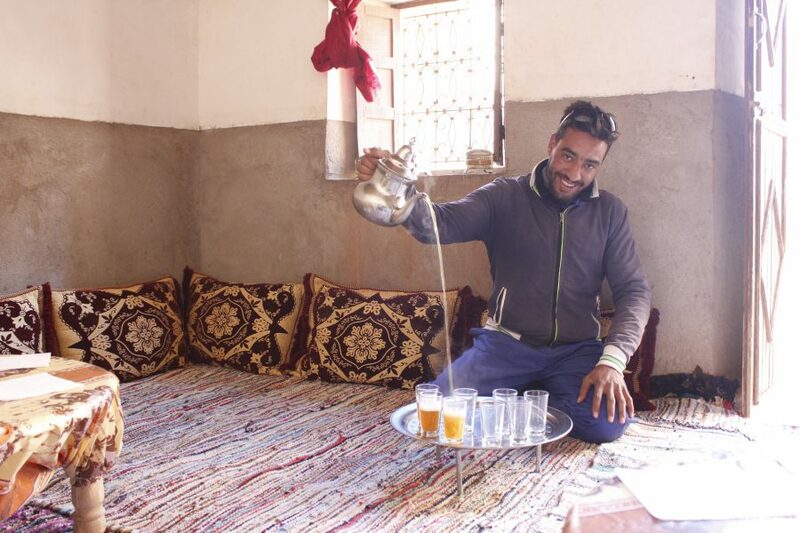 Mineral water and fresh mint tea with Moroccan pancakes at locals. 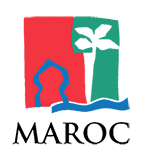 cup of mint tea and mouth watering Moroccan honey crepes. 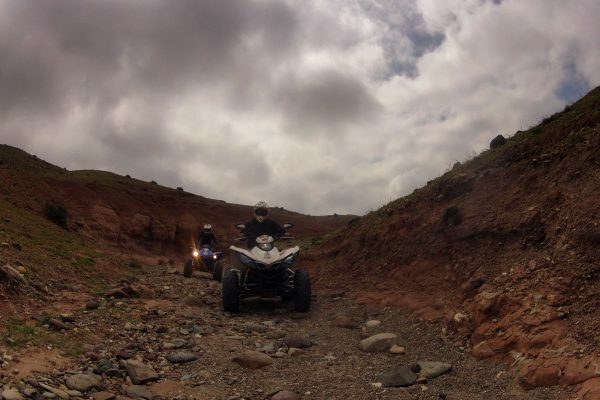 Several stops to take pictures.